Pour 300ml (½ pint) water into a pan and add the vegetable stock powder, sugar and butter. Bring to the boil, then add the carrots. Cover the pan and simmer them for 10 mins. Remove the pan lid and then boil rapidly until most of the liquid has evaporated, leaving the carrots with a thick glaze. Shake the pan occasionally, so that they don’t burn. 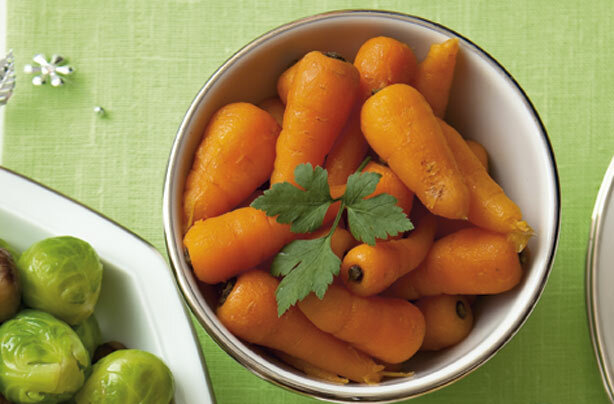 Keep carrots hot until you need them.